If you are looking for a romantic destination, then it does not get better than Venice and this is the reason why you must check out the following top rated Venetian Islands so that you can choose to visit the one that takes your fancy. Venice has been called the queen or Europe, the city of bridges and the most beautiful city in the world for a reason. The city is made up of hundreds of Islands that are separated by canals and linked by bridges. 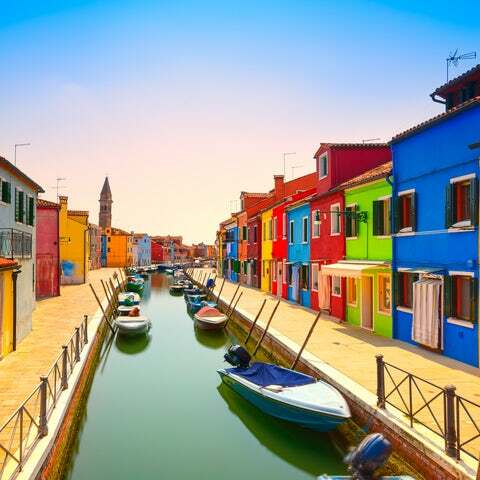 The canals, sidewalk cafes, and restaurants of Murano Island are enough to make your heart mellow; but wait till you visit the glass museums and factories and you will have a new high. The ancient tradition of glass making in Murano continues to today. Make sure you buy some beautiful glass jewelry to show off to your friends. For the best served risotto dishes, visit the Burano Island. Apart from the cruises and gourmet dining; Burano Island also has an active handmade laces industry. Make sure you grace the Lace Museum to get an idea of the item you should get at the artisan's shops. If you love nature, then there is no better place than Torcello Island. It is located on a nature reserve and thus you can expect it to maintain its allure throughout the year. Also noteworthy is the 7th century Cathedral of Santa Maria Dell'Assunta. Here you get to see the beautiful Byzantine mosaics that were mostly done in the 11th and 12th century. Also fondly referred to as the Garden of Venice, this island is the largest in Venice and is largely an agricultural island. This is where you get the freshest of Venetian produce. Although there is no many tourist sites, the island is Venice's best kept secret. Go there and you will but the produce sold in other places at double or thrice the price. The island is also home to the only winery in the Venetian lagoon. Personally I would not visit this island - mostly because I am superstitious and have watched a lot of vampire movies - but many people seem to think that it is worth a visit. It is the tomb of Venice featuring the tombs of most a great people in the city. In particular, during November's All Soul's Day, you will see many Venetians taking flowers to the tombs - happily join along if you are not as superstitious as me. You must visit the above islands if you want to get a representative sample of what Venice is all about.